Meet the team dedicated to payments innovation. With over 100 years of combined experience in the FinTech industry, InComm’s leadership team has unparalleled expertise in helping companies grow their business through payment technology. With every facet of the industry covered, they are dedicated to working closely with our partners and meeting their unique needs to positively affect the bottom line. 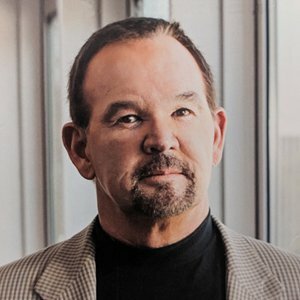 Since founding InComm in 1992, Brooks Smith has continued to be a pioneer of prepaid products and payment technology. Under his leadership, what started as a company focused on using technology to support the sale of long-distance phone cards has grown to be a leader in the FinTech industry. Mr. Smith has more than 20 years of senior management experience in sales and marketing. He is respected by industry leaders for his innovative work in shaping a prepaid product distribution network and was named Ernst and Young Entrepreneur of the Year in 2007. 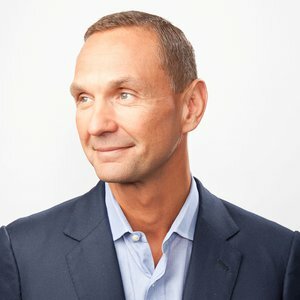 As CEO, Mr. Smith spearheads all efforts to connect the industry’s leading brands with many of the world’s largest retailers. 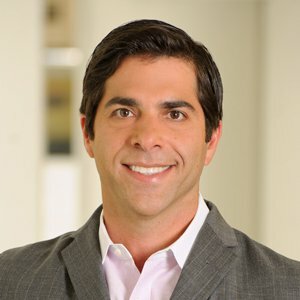 He has established valuable relationships with leading retailers like Walmart, Best Buy, CVS and 7-Eleven in addition to global product brands like iTunes, Sony, Google, Amazon, Starbucks, AT&T and Verizon. Stefan Happ joined InComm in 2018 as President to lead the company’s sales and account management teams in providing best-in-class payment technologies, products and services to a growing list of clients. Prior to InComm, Happ held several positions overseeing prepaid-focused initiatives during a 20-year career at American Express, most recently running Global Prepaid & Alternative Payments for the company as Executive Vice President and General Manager. Happ received a bachelor’s degree in linguistics from University College London and a master’s in business from Lancaster University. 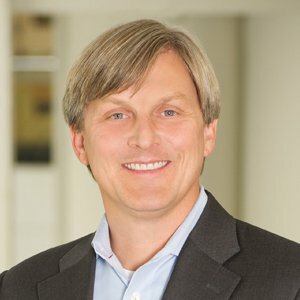 Scott Meyerhoff came to InComm in 2011 as CFO and has completed multiple public debt and equity offerings in that time, raising in excess of $1 billion. He has also played a key role in more than 100 mergers and acquisitions. Prior to joining InComm, Mr. Meyerhoff was a consultant in executive capacities at multiple companies, including Arthur Andersen, Intercept, Infor Global Solutions and Intersect. Under his direction, Intersect was named to the prestigious Inc. 500 List in 2010. As CFO, Mr. Meyerhoff oversees all of InComm's corporate infrastructure. In 2018, Mr. Meyerhoff was named "CFO of the Year" in the large-private category by the Atlanta Business Chronicle. Mr. Meyerhoff attended Penn State University, where he earned a degree in accounting. Joining InComm in 2003, Dan Kahrs has over 25 years of operations management experience. As Chief Operating Officer, he manages the day-to-day operations of the company’s supply chain, customer service, merchant services, human resources and fraud support as well as oversees the company’s real estate activities and facilities, both domestically and internationally. Over his tenure with InComm, Mr. Kahrs has successfully scaled the company’s operations during years of tremendous growth and served as the operations lead on the transition team for integrating the numerous acquisitions completed by the company. Prior to InComm, Mr. Kahrs served as Senior Vice President, Operations Prepaid and Billing Services for ILD Telecommunications, Inc. while also serving as a member of the Board of Directors of the Coalition to Ensure Responsible Billing (“CERB”). He graduated with honors from the University of Notre Dame, receiving a Bachelor of Business Administration degree in Accounting. Mark Holt brought over 20 years of experience to InComm when he took over the role of Chief Information Officer in 2018. As CIO, he oversees InComm's IT organization in the U.S. and abroad, focusing on enhancing the company's payment technologies to align with business demands. 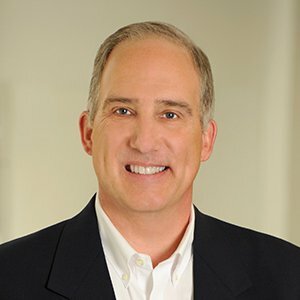 Prior to joining InComm, Holt served in the same role at E*Trade Financial, where he led the company's IT initiatives, including designing, developing, testing and supporting sophisticated platforms in the trading industry. Holt graduated from Clayton State University with a bachelor's degree in business adminstration and computer information systems and design. 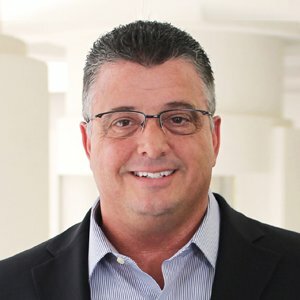 Brian Parlotto joined InComm in 2004 and since then, he has served the company in many capacities, including international expansion, business development, and sales and account management. He has also leveraged his experience with startups to champion many firsts in prepaid digital content, like the acquisition of digital gift card provider Giftango, now InComm Digital Solutions. 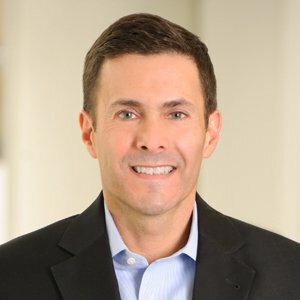 As Executive Vice President, Mr. Parlotto leads various product teams – including gift cards, digital content, wireless and healthcare while overseeing corporate and event marketing in addition to InComm Digital Solutions. Prior to InComm, Mr. Parlotto worked with Virgin Mobile USA, Cingular Wireless and BellSouth Mobility. Michael Gruenhut has served as InComm’s General Counsel since joining the company in May of 1999. He is responsible for all legal functions of InComm and its affiliates, including commercial transactions, corporate compliance, operations and regulatory, intellectual property and management of outside counsel. Before joining InComm, Mr. Gruenhut represented both publicly and privately held businesses in Atlanta with the law firm of Spix, Krupp & Reece, P.C. He is a graduate of the Georgia State University College of Law and received his undergraduate degree from the University of Georgia.